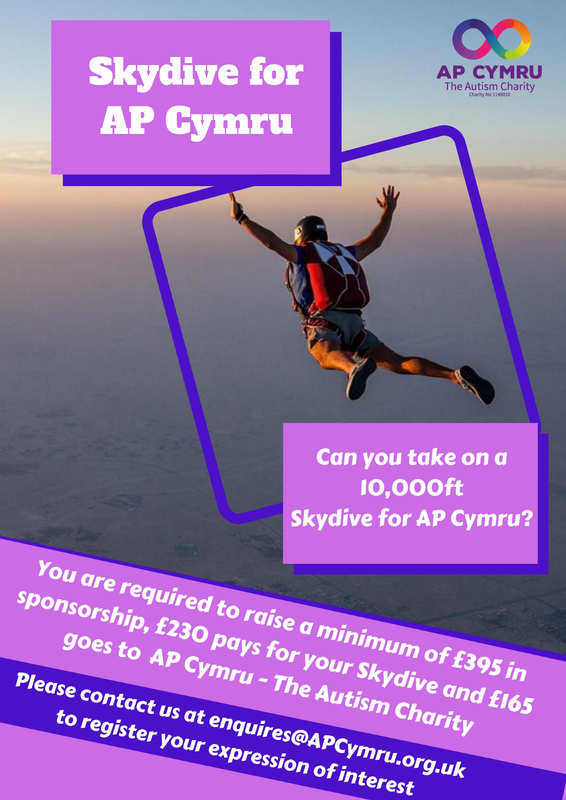 So you’ve chosen to fundraise for AP Cymru and help support those with autism and their families. There are so many different and creative ways to fundraise for us. Whether your thinking of hosting a bake sale, a sponsored swim, taking part in a fun run (or a serious run), thinking of skydiving or have a unique idea. We would love to hear from you – so why not get in touch with us today! Once you have decided on your fundraising event or activity, please complete the fundraising agreement below to register your event with us.